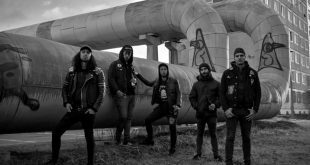 Home / Interviews/Metal/Get to know the Belgian metal band: Squidhead! 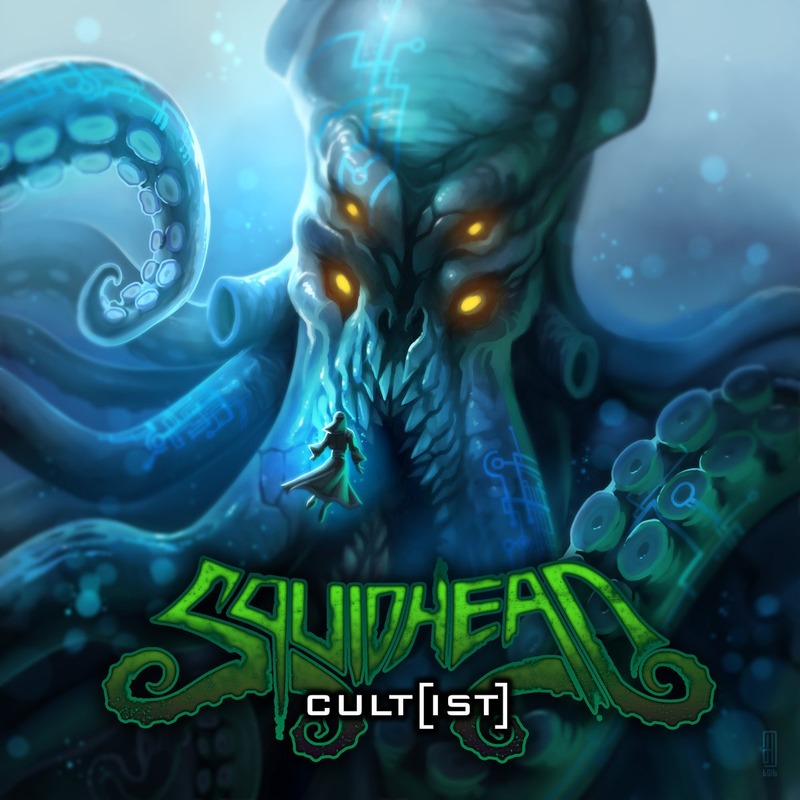 Today, I’m introducing you guys to the Belgian metal band Squidhead. 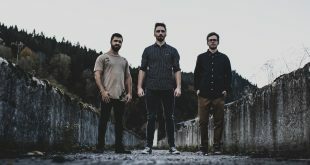 Learn more about the band in general, as well as their latest release, “Cult[ist]” below! Hello Squidhead. Hope you’re doing great? First of all, thanks for taking time to chat with me. Squidhead started as a one-man instrumental studio band, but now consists of 3 band members. What made you turn it into a “real” band and how did the integration of the two members happen? Hello Valentine, I’m doing great, thanks! So, about this switch from a one-man project to an actual band. At the very beginning, this project was supposed to be a collaboration with several of my musician friends to achieve a solo album. But it appears that it’s very complicated to have people getting involved in such a project. Especially when they are all busy with their own bands. So I realized that it was easier to make a first record on my own instead of waiting for the people to be available. So, that’s how I ended up doing a fully solo EP as debut record of the project. Anyway, it has always been clear in my mind that this was supposed to be real band so, with this first EP in hands. I started searching for actual band members (not just guests this time) while composing the first album “Cult[ist]”. And I must say that I’m glad I’ve found a bunch of great guys to join in! Your latest release, “Cult[ist]”, is out since March 2018. For those who haven’t heard it yet, what kind of songs can we expect on this album? Well, it’s a sort of mashup of my personal influences. I’m a big fan of band like Meshuggah, fear Factory, Strapping young lad, Morbid Angel, etc… So we are somewhere in a mix of modern death metal with industrial vibe and heavy syncopated low tuned guitar riffs. We also try to keep a lot of groove and catchiness between the extreme parts of the songs. Honestly, I’m just really trying to play the songs that I would love to hear if I was just the listener. Do you have one personal favorite song on this album? If yes, which one is it and why? I really love “Mantra of insanity”, the first single for which we’ve released a video. This one is probably the catchiest of the album, very direct, with lots of melodies and groove. It keeps my head bobbling all the way long and the video works pretty well with it. I also really love the last song “Verbis Diablo”, which is a bit more progressive with ambient part in it. Maybe less “in your face” but this one does have something special and fun riffs to play. It took you a little more than 3 years for you to prepare this album, after the release of your debut EP “Prohibition” (2014). Was it important for you to take your time? It was long indeed! And yes, the idea was to make sure we had the best record possible at that time. The songs themselves were written quickly. But it took us a lot of time to have a good mix and also prepare for the shows. As we’ve done almost everything by ourselves (except Mix/mastering), the process has been much longer than expected. We had to work on the new imagery, the costumes, cd and merch production, etc. We also had to think about how the live show must be done, as we are playing with costumes and masks on. It’s a very special live approach, as you can’t just walk on stage, grab a guitar, salute your mate and be a rock & roll drunk douche. We wanted those shows to look like a ritual. So we had to think about how can we create a real atmosphere live and keep it from start to finish. How did you approach the writing process for this record? From the very beginning, the main idea was to have songs that works well live and with only one guitar on stage. So, I had to always think about that and it was new for me, as I’ve always been in a 2 guitarists configuration before. This time, it was 1 guitar, 1 bass, 1 drums, 1 singer and samples/keyboards. That was a very different approach because you have to make sure that what as been done in studio can be physically done live. (So you avoid having 3 guitars parts at the same time!). Also, there is much more samples and Keyboards on this one. Those are samples played by a computer on stage so, our playing has to be very tight on stage to make this big mess work. We also had to add this Cthulhu/Lovecraftian influence in the lyrics and imagery of the band. It’s something we really needed to think of during the process itself, to make sure it merges together smoothly. How was the recording of this album? Any funny story to share with our readers. Or do you guys happen to be really focused while being in studio? The recording has been done mainly in my home studio and in our bassplayer studio. I was recording the main core of the songs and let the other guys take care of their own parts. I was also programming drums and recording all the electronics stuff and writing lyrics with the bassplayer. There were actually 2 “fun” stories (not really fun at the time but hey, it was long ago, right?). We basically “lost” our drummer during the mix, as he realized I didn’t want to play music anymore so, he just quitted! As you can imagine, it was a VERY bad timing to leave a that moment and finding a new drummer able to play with us has been a very long search. We have a great guy now and it works very well on stage so, yes, now we can laugh about it! Another issue during the mix , which seems to be a curse when I look back at it. It’s the fact that we’ve decided to go to a professional studio (the Vamacara Studio in Clisson) to do it, as we were not able to get a satisfactory result ourselves. And that’s when we’ve been told by the studio that they couldn’t use our guitar tracks… And that we had to redo EVERY guitar part previously recorded! No need to say I was a bit desperate but, hey, we had to finish this damn record so I just did get back to my home studio and re-record the whole thing. Again, not pleasant at the time but a lot of good lessons learned during this process. Would you mind sharing your plans for 2019? Well, we’ve just done or first show of the year in Liège and it was a very great night! We had a blast on this one. We have no other plan for shows so far but we are definitely looking around for opportunities so, we’re open for booking right now! We’ve also started composing new songs for the next record. It’s very fresh right now so I can really tell you when this will be done but there’s already a lot of material in the making. So, let’s see where it will bring us. Previous Avantasia to release their eighth full-length album, “Moonglow”! 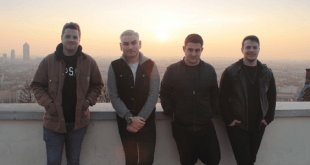 Next Fugitive announce a new album, titled “The Awakening”!